It’s one of those days when nothing is going right. You’re sitting there thinking that this wasn’t what you promised yourself you’d be doing when you were older. Bored? Depressed? Lonely? Tired of corporate life? But here you are, fed up with working the corporate 9-6 or 7. Or perhaps you’re worried sick about looming redundancy from the new corporate takeover they’ve just announced. Maybe you’re already retired and are at home, bored out of your mind. You want a reason to get up in the morning, some sort of job, a second career. With a shock, you realise you feel lonely and that you’re getting depressed. You want to get out and meet people but you don’t have enough money to do stuff. You’ve heard about people who work while they travel – that sounds brilliant. They work remotely. Part-time work sounds better and part-time work from home sounds like nirvana – the best of all worlds. Just how do you find such jobs and what do you actually do to get one? It’s the gig economy, isn’t it? But what’s it all about? How does it work? Isn’t it only for computer nerds? You were going to find out more, but then your neighbour told you it’s just for teenagers. But that’s wrong. So let’s find out what YOU could do in the gig economy. 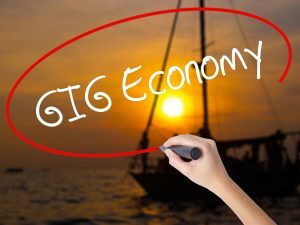 Part 1 – What’s a gig and what’s the gig economy? Making the momentous choice: which is the gig for you? The $$million$$ dollar question: what do these gigs pay you? The guide is long – well, it has to be if it claims to be the ultimate guide! If you’d find a pdf easier to read or to refer to, then click here, fill in the form and I’ll wing it to you straight away. CLICK HERE FOR YOUR PDF COPY OF THE GIG ECONOMY FOR BOOMERS! 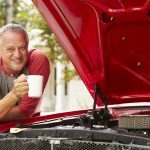 With this guide, we’re aiming to show you how the gig economy works for older people, for boomers, seniors, retirees and pre-retirees. But it’s divided up into parts. Feel free to pick and choose what you read first. If you want to, click on the index and go straight to the job search resources. Don’t forget to read some of the tips though – they’ll help you through the jungle. If you want to know more about the background, what a gig is, how the gig economy works for older people, people like you, then start at the beginning. get more fun out of life with ‘out of your comfort zone’ experiences. You need to be brave. It takes courage and feels risky to embark on a new career, a different way of life. But there’s no harm in finding out about what the gig economy has to offer. At worst, you’ll have a load of new experiences and some stories to tell. You might find something that makes all the difference between sinking into a tedious old age and a new lease of life. So here we go. What exactly do we mean by a ‘gig’ and the ‘gig economy’? For those who don’t really know, let’s break it down. The classic ‘gig’ is where a singer, a band or a comedian has a job entertaining, say in a bar or at an event. From that, a gig has come to mean a job typically of at most a few hours’ duration. Nowadays, people think first of Uber and the taxi type firms offering rideshares (as opposed to taxi rides). Another well-known gig is delivering food for Deliveroo or Ubereats. You get your gig through an online software program, known as a platform, an application or app. The firm operating the platform registers staff willing to work. When a gig comes up, the app sends out details to those who are registered. The staff can respond and take the job or ignore it, although they are often expected to work for a particular shift of hours. Sometimes gigs of these kinds work by you displaying your profile on a platform. The customer can browse and choose you or somebody else. www.fiverr.com is a good example of a platform that operates this type of gig. There are loads of different tasks you can get done by logging onto a platform and choosing somebody to do it: e.g. finding a handyman to hang pictures after moving house, or employing a virtual assistant to type up a document. And the handyman or the virtual assistant and all the other workers have got a method of finding customers and getting work. If you’ve got the skills, it could be YOU. Freelancers or independent contractors have been around for a long, long time. The line between gig work and freelancing is blurring, as nearly all gig workers work as independent contractors: i.e. on a freelance basis. To my mind, the only difference these days is that freelancing may imply longer-term jobs, rather than the very short duration of a gig. Longer-term ‘gigs’ tend to happen at the more professional levels. Firms like Upwork and Toptal are matching freelancers to firms for both short and long term project work. And it’s becoming more and more common in the engineering, IT and other professional fields to work in this way. 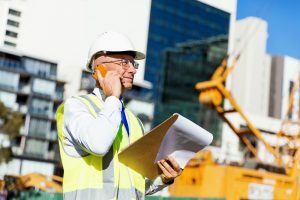 You come together with a team for the duration of a particular project which could vary from a day or two up to two or more years. Whilst some of the gigs aim at local markets (e.g. a cleaner in Berlin, Germany, or delivery of dinner in Chicago), many gigs operate on a completely remote basis, that is purely online. And that means, with a decent internet connection, you can work remotely from anywhere in the world, whether you’re travelling or working from home. 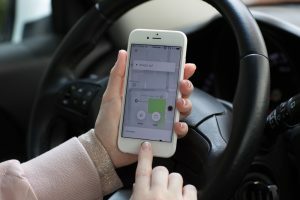 Gig workers (including freelancers), the platform providers, employers and the end customers for the services provided constitute the gig economy. Whether you call yourself a gig worker or a freelancer, you’re part of the gig economy if you meet the two key distinctions of working in the gig economy. The first is that the worker is not an employee but hired as an independent contractor or freelancer. You can hire yourself out either directly or through a limited company. The second key distinction is that usually (but not always) the gig economy operates through technology; generally via an app (an application or a platform) or a website which provides a method of matching customers for services and providers of such services. So where do seniors, boomers and retirees fit into this scenario? When people think of the gig economy, they mostly think of millennials, students and youngsters generally. But, there’s evidence that quite a lot of us seniors are already taking up the opportunities in the gig economy. 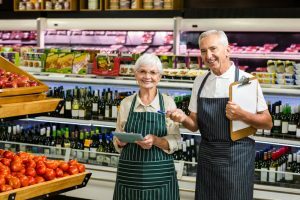 With older people living into their 80s and 90s whilst keeping healthy and active, they are staying in the workforce for longer. The share of both men and women aged over 65 in the workforce has increased dramatically in the last two decades. The UK currently has 5 million self-employed with 2 million freelancers/gig workers and the US has about 57 million freelancers/gig workers, which is approximately 36% of its workforce. 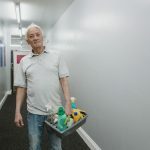 A third of gig workers are 55+ and of those, a third have already retired. They’re retired with a job! Further, us seniors earn more from our gigs than other age groups. The median income in the gig economy for boomers in the US was $43,600 in 2016 as against $27,500 for millennials. 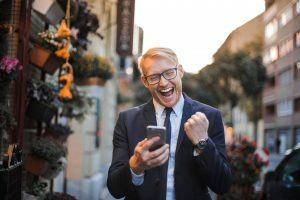 In a Prudential Financial survey, 75% of boomers working in the gig economy say they like gig work and a whopping 86% say they derive satisfaction and enjoyment from their work. Higher by far than other age groups! So the gig economy for boomers is massive and it’s growing rapidly. 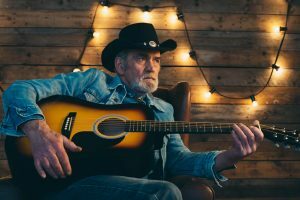 Not only do us seniors form a substantial part of the gig economy, we really like it! Seniors, boomers, retirees and pre-retirees, you can benefit from the gig economy too. It’s not right for many people, but it might provide just the opportunity for you, a lifesaver to help you solve the problems that face you as you age. Moving on: how does a senior, a boomer, a retiree or a pre-retiree – how do YOU set about landing a gig in the gig economy? Let’s look first at what you’re seeking to achieve in going for a gig economy job. Take a look into your soul and ask yourself what you want out of life and then work out a way to get it. You plain need the money to survive. You’d feel more secure with extra money. You could pay off your mortgage or any other outstanding debts and top up savings and retirement funds. You’d like to contribute financial support to your children, grandchildren or even your parents! You’re worried that you will run out of money given that you’re going to live so much longer. So much less stressful if you know you have enough to pay for care when you need it. You want some money to pay for the extras that you always dreamed of doing – holidays or an RV to go travelling in. You’re feeling a loss of identity. You want to prove that there’s life in the old dog yet and that you’re still useful. You’re bored at work or at home and want a new challenge. If only you could regain a sense of purpose. You’re worried that you’re falling into mental health problems due to loneliness and depression. You’re looking for new interests and new friends to have more fun. You need to keep your mind active to help prevent cognitive decline and dementia. You enjoy keeping physically active because exercise is the best way to keep healthy. You’d like to make a second career from your hobbies or interests. You just want to do something different, like help others, work with children or pets. It’s a great feeling to know that what you’re doing helps other people with their life problems. From the list of reasons above, make your own list of reasons why you want to work. It will give you a perspective on the kind of job that you might go for. It’s worth spending some time thinking about your motivation. 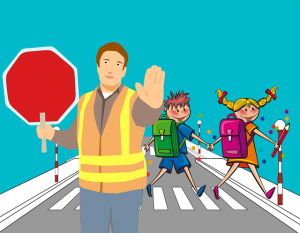 work with children: how about looking to work in a school, kindergarten or nursery. make yourself do some exercise: try a job doing bike deliveries for food or documents. find new friends: working in a bar or a café means meeting loads of people. learn more about gardening: what about looking to work in a garden centre or on a horticultural farm. Now might be a good point to browse through the types of jobs listed in Part 4 Find your Gig to work out what might be fun to work at. If you have the funds, you might invest in some advice from a life coach, a retirement coach or a careers adviser to help you work through this stage. Or you can just have a go at a load of different things and see how you like something. Since gigs come in all sorts of shapes and sizes, your starting point is to look at your inner worker and ask yourself what you want out of a gig. Are you looking for full-time employment? Would you rather work part-time? Do you want to work gig only? How about combining gigs and employment/freelancing? What kind of place do you want to work: home or out and about? Your answers will have a bearing in the type of gigs to go for. You’re less likely to be able to achieve full-time employment in the gig economy. Gigs by their nature tend to be quickly over and done with. To get in your hours, you often have to do more than one type of gig. Gigs may be a convenient way of only working when you want to, but they also generally don’t pay that well, unless you’re already well qualified. It’s easier to work full time on one job/project if you’re working as a professional/executive freelancer. Doing shift work at busy times or in certain seasons could make it easier to get the gig. 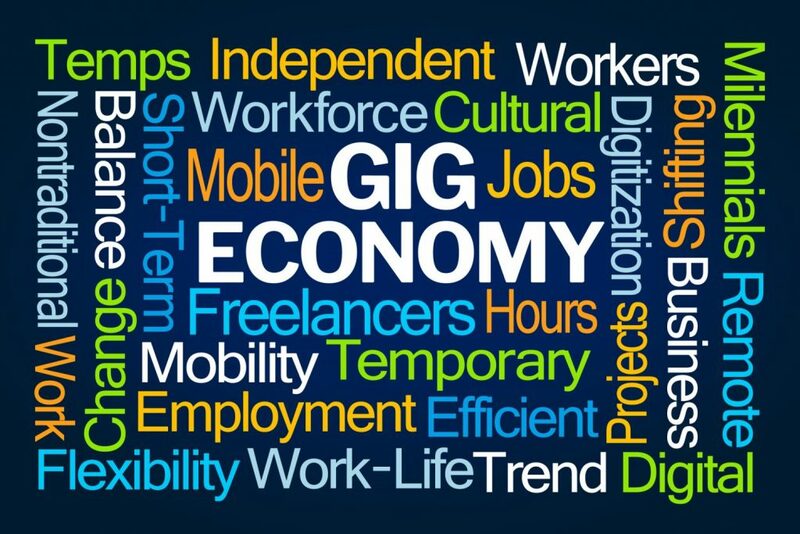 If you’re a healthy, active senior, boomer or retiree with a skill, who just wants part-time work, the gig economy could be made just for you! Found something you like the look of that fits all your criteria? Or maybe a few things you could aim at? Now you need to test whether those choices are realistic. If they’re not, you’re going to end up miserable. So better to go for something that’s going to deliver for you and deliver for your future customer. Now’s the time for a bit of introspection. Ask yourself how you can demonstrate that you can do the job. These days, demonstrating you can do the job is no longer just about having a great CV/ résumé. You need to have examples of what you can do, a portfolio of work for people to see. If you’re wanting to get into a second career, build up a freelance business or even just liven up your life, it’s good to prepare for it. Even better to start doing it while you’re still in full-time work. You’ll make the transition from employee to your new lifestyle all the more easily. So here’s some ways to prepare. If you’re an artist or a photographer, you can work on a portfolio to show people. Same if you’re a graphic designer. You have something tangible to show. There are other jobs where it’s not so easy to demonstrate. Even then there are ways of demonstrating that you are the kind of person who gets results. For example: let’s say you want to take up being a handyman. Try taking photos of each job you do and putting them into an album to show potential clients. Interior designers show clients examples like that all the time. No-one will know if you actually did that job for free for your grandma. A great idea for preparing is to look for skills lists that you can use as a checklist. Try clicking here for skills listed by jobs. The site has skills lists for all sorts of jobs, so worth taking a look to see if you can find a list for the gig you’re aiming for. Then make a list of your own list of skills for that job. How do the two lists compare? Hopefully, the exercise will highlight some of the things that you might work on to improve your chances. If the skills gap is too large, then better to go back to the drawing board and look for something else. Let’s say, you’ve picked a gig and you’ve identified some skills gaps. Think about what you could do to narrow the gaps. You can take some free courses, and maybe get a certificate. You can try and get some practical experience by volunteering or doing an evening class. So start collecting the evidence you might need so that you have it to hand when you need it. Let’s say you want to combine earning a bit of money with getting exercise. 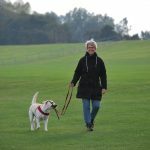 You decide on dog walking but don’t have much experience. Here are 3 ways you can narrow your skills gaps. First, you could do some studying about what you need to know about. Here’s a course on dog behaviour. There are lots of good books you can read and you can watch TV programmes such as Cesar Milan’s The Dog Whisperer or Dog Nation. Try beefing up on the law about dogs: such as knowing when you can let them off the lead or what happens if a dog you’re controlling is in an accident. Second, get some experience: think about taking out neighbours’ dogs for walks. 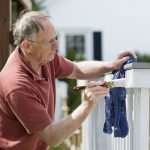 Third, ask the neighbours for testimonials which you can then show as evidence of your physical ability to do the job. So take the principle of developing your skills and go out and apply it to your chosen gig. Want to do bike deliveries to make yourself exercise, then join a cycling club. You’ll meet lots of different people and you’ll have evidence of your ability to stand the pace: super important to have ways of combating ageism at your fingertips! Want to work as a freelance retirement or financial adviser – start training to get the right certificates and qualifications. Get your digital skills up to speed: there are lots of newer programmes out there which people are using for business more and more. 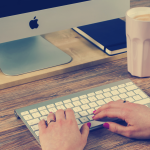 Try learning about Asana or Slack as well as updating your Microsoft Office skills. Get used to taking phone calls on WhatsApp or Viber or Facetime. Learn how to use Zoom as well as Skype. You’ll need them! So think of ways you can improve those skills and document how you can use them. And don’t forget, lifelong learning makes you live longer. Plus it’s makes life more interesting NOW. And you end up with evidence of your ability to do the gig. You’re ready to move on and work out what you need to do to apply for your gig. As you can see, quite often, there is no human contact involved – it’s all done through the app. The process varies from platform to platform and also according to the gig you’re going for, but they are basically similar. Is your hobby restoring classic cars? How about doing it for others as a freelance? You fill in basic details about yourself, your qualifications for the job and details such as address, bank or PayPal account, as relevant. Once you are accepted, you receive potential jobs by email or on the app and you can choose whether to accept that job or not. Where gigs are sent out on an app generally, you have to be quick to accept, as competition for the gig can be quite fierce. Other applications can get quite complicated, depending on the level of skill and expertise demanded. public can then browse through the offerings and choose one that they like. The customer pays through the website which takes a commission. The app/website is responsible for getting payment upfront so you don’t have the risk of non-payment. The customer feels secure too because payment is only released when they are satisfied with the results. Sometimes, the website can also act as a mediator in the case of disputes. A good example of this type is www.fiverr.com. For freelancing sites such as Upwork and Freelancer, it works the other way round. Freelancers apply but are vetted before being accepted into the system. They don’t accept everyone who applies. For more on this kind of vetting, take a look at this article on Upwork skill tests. Customers post their jobs and the app sends them some freelancers who are suitable. The customer can ask for quotes from those put forward, browse or simply pick the freelancer he/she prefers. And that’s the tricky bit. It takes a lot of time to put in good proposals for jobs. People really struggle to get going in Upwork because the pay is low, the fees are relatively high and the level of competition is high too. 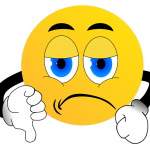 I just read too that Upwork is going to charge freelancers a fee to bid, so that means it will be even harder to make good money on Upwork. It’s a very popular and growing site, so it must work for some freelancers. But it makes it more difficult to get going as a beginner. With other sites, such as Catalant and Toptal, it’s even tougher to get jobs. First, there are tough application procedures to get through even to qualify to work with them. Many people are rejected as they are looking for real experts in their field. Don’t be put off, it doesn’t necessarily mean you have to have a university degree – they’re looking for the skills to do the job. Once you’re vetted though, you receive opportunities that really apply to you, so it’s worth getting through the acceptance system. The gigs tend to be longer term. Many of the freelancers end up working directly for the client. In Lisbon, Portugal, I met some really happy workers from Toptal who love what they do, working remotely and who are satisfied with what they’re paid. Two of them ended up working long term for their Toptal client, albeit still on a freelance basis and what’s more, they’ve never met anybody personally from their client. So it really is remote working. First, do your homework on your potential employer. Research its background, its mission and policies. With that information in mind, read the job description carefully and focus on the skills listed for the job. Then craft your résumé/CV to reflect the skills that the employer has asked for and others that you think it will need. Tailor your response by adapting your description of your skills and experience to their questions. Go back to the skills lists you developed earlier and check you’ve managed to get in a reference to each of the relevant skills for this particular gig. Check examples of good CVs and make sure yours looks like the good ones. Seek help if you get stuck. Many of the sites in the resources list have free templates you can use. Mention key skills in your cover letter or cover email. Find good templates from the sites listed in Part 4: Resources. Finally, brush up on interview skills. Don’t forget to use your skill words. Make sure you have at least one example for a time you demonstrated each of the top 5 skills that you’ve listed. Get a google alert going for your chosen field so that you’re up to date and can talk about recent developments in the industry. Work out your own view on where the industry is going so that you can talk about it knowledgeably. Don’t forget to write a thank you note for the interview and offer to provide further information. Get feedback if you went through an agency. When you’ve got the job! 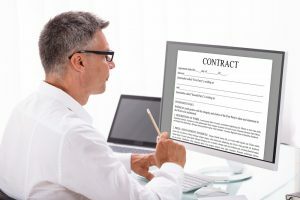 When you’ve won the work, make sure that the business arrangements are set out in writing, preferably in a proper contract. Put in a good description of the work you’re going to do and the standard to which you’re going to do it. Have clear arrangements about deadlines, what happens if there is a delay of some sort and how and when you get paid. Complete all your work on time and to the highest standard you are capable of—you’re more likely to get referrals and repeat business. 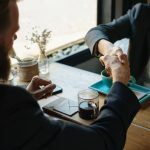 Just as there is an overriding principle for real estate (Location, location, location), so there is a guiding principle for job searches: and that’s networking, networking, networking. These days, personal referral is possibly the very best way to get a new job. And that applies in the gig economy too. In fact, it’s even more important for freelancers/independent contractors. Why is networking so important for getting into the gig economy? The new way of recruiting on-line means that résumés/CVs are often machine scanned. A personal recommendation helps you to stand out as a candidate. Being known in the industry gives you an advantage as your reputation may precede you – as long as it’s a good reputation! If you know somebody in a company, you may hear of a job that’s coming up through your contact. You can have a head start in applying. It could mean that the job is never advertised. If you are only just thinking about how you want to change your career or to have a job after you’ve retired, it’s the perfect time to start networking. Even if you’re mid-search or already retired, it still pays to take the first step: a networking makeover. Let’s look at how to network. For some, networking comes naturally. For others, it’s a learned skill. (And if you’re like me, a hard one to acquire!) What are the best ways to get going on networking? Networking is a long term business. It’s essential to your career and essential to getting a new job, especially in a new field. You develop your network by keeping in touch with people: your friends, people you went to school with, people you’ve worked with, the parents of your kids’ friends. Anyone you meet could potentially be an important part of your network. When you’re starting out, start with friends and family. Ask around. It can be hard to ask! Try practising by asking if they know of any jobs going in a field you’re interested in. Or ask for practical help: e.g. with writing a résumé. Most people love to help out and are flattered. Think up some targeted questions. For example, ask them if they know anybody at xyz company. If they don’t, do they know somebody who might help with information or an introduction to that company? Ask them for alternative suggestions. Once you have a conversation going, you can more easily sound out your ideas and get some feedback. Work colleagues are a very obvious resource – they know how you work! Remember that any work you do is your personal advert for future work. Be friendly with people from other firms on the same project. Make sure you have business cards and hand them out. Keep in touch with past clients. They may well become your next new clients or they may refer you to new prospects. You can ask them for references. Great references can make all the difference. Reach out to people who you don’t know so well. (In the literature, these are known as weak ties. Apparently, these links are more likely to work than those with family or close friends.) They might be people you worked with some time ago, people from firms that you dealt with in a previous capacity or somebody who could give you an introduction. Follow up any suggestions. Sometimes, it’s the craziest ones that turn up with the best leads. For example, you might talk to somebody in the HR department of your former employer and it turns out his wife works in a firm which specialises in your field. You’ve never met the wife, but what a great connection. These days it’s vital to take care of your online presence. Potential employers look you up online and they take notice of what they find. Your online presence is like a résumé for the world to read. So make sure it says the things you want it to say. Give yourself an online makeover! Do a google search on yourself and see what it comes up with. If you haven’t got a LinkedIn account and you’re aiming at corporate jobs or freelancing, set one up. Get testimonials to make it look good. Follow people and ask people to follow you. Rewrite your profile. Bring it up to date. Sprinkle it with words from the skills list you developed, so that potential employers who look you up online can see that you know what you’re doing. Make sure any Facebook or Instagram pages aren’t just stacked out with photos of you getting drunk or playing pranks. What does your Pinterest account say about your interests? 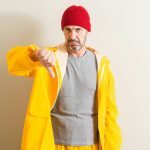 Here is a great guide from Feistysideoffifty.com for getting your online presence in order for a job search. Doing your online makeover is a great way of starting to reach out to people you know. You can reach out to the people you know and ask them for testimonials for your LinkedIn profile or your FB page. People can be flattered that you’re asking, that you think their opinion counts. It’s also a more subtle way to start asking for job opportunities or to announce that you’re going freelance. It can arise naturally in a conversation. Deliveroo gives a bonus to their riders who refer a friend who becomes a rider. So if you know somebody who rides with Deliveroo, ask them to help. If not, go and talk to them where they hang out. In our town, they hang out in the park but often they gather near popular restaurants. They might help you with advice and an introduction! Try recruiters active in your industry. Ask them about your prospects and what you might expect to achieve in your hunt for a new job. Make recruiters the first plank of your own social media networking makeover. Follow them on LinkedIn, which is the biggest online corporate recruitment site and one of the first places people look to check you out for professional positions. Start following people active in your industry. (Feistysideoffifty.com recommends getting 500 links to other people as a minimum. (Well, I guess I should get cracking on that!)) Interact with their content, making comments, linking back to something that you’ve written. Show what you’re interested in. Ask them privately to endorse something you’ve written or to share it to their network. This will get your name out there. Helping out other people is a really good way of networking because it makes you feel better about yourself at the same time. If you’re not used to asking for help, it can be hard to do. But take your courage in both hands, reach out and ask. People can only say no. As you go on, it gets a lot easier to do and soon you’ll find that people are asking you for help too. Let’s start with the lowest end of the scale. If you’re doing online work such as completing surveys for Swagbucks, you’re hardly going to earn anything. Often, your work gives you points and the points can be cashed in for gift certificates from, for example, Amazon or the platform’s own gift scheme. You have to have earned enough points to be able to take advantage of this. There are some that pay cash, but they are the exception rather than the rule. This kind of work really is more for the fun of doing something you might do anyway than for making a living. You can use it, for example, to save up to get Christmas presents. include gigs like deliveries, working in hospitality or care (unless you have a particular skill or qualification) and cleaning. The rates of pay are roughly equivalent to the minimum wage. But usually you also have to e.g. – provide your own bike, maybe buy insurance and sometimes there are registration fees, all of which bring down the total you can earn in an hour. Some of these jobs really favour the customer. For example, going to pick up a take away, some of the delivery firms give you get a set rate for the job, but if you have to wait for the food to be ready, then you’re not paid for the waiting time. Some of these gigs have regulated tips built into the price to the customer and others rely on the customers tipping as they want to at the point of delivery. If you are a careworker and go to the same person regularly, you’re unlikely to get tips. So income from tips may vary a lot. There can also be registration or membership fees to have access to the app, and sometimes, even a uniform that you’re required to wear, which reduces your hourly rate too. Ride shares can do better although some only ever manage minimum wage after they’ve paid their expenses. It’s possible to earn up to around $29/£23 per hour somewhere like New York but only $8 in Nashville That’s less than the minimum wage in the UK. Plus, putting your own assets at risk for little return on the capital investment and the running costs. Here’s an interesting survey on actual ride share earnings after expenses: click here. Clearly, it works for some people, but for others, you wonder why they would want to continue operating at an effective loss. The digital service providers start off at low prices for basic tasks. (Fiverr.com is called that because the basic charge is $5 for you as the service provider plus the fee to Fiverr, so $7 to the customer). As you get good reviews and a good reputation, you can quite quickly work up to charging more. The more complicated the task, the higher the rate. It’s a great way to get experience and a good reputation. But you can’t help but think that the major beneficiaries are those who work in low-cost environments such as in Asia or maybe South America, where they have well-educated workforces who can live well from those kinds of rates. Jobs that require specified skills can make more money. For example, bookkeepers, tax preparers and office staff may earn up to $20/£15 per hour, or the equivalent in your local currency, depending on where you live. Wellness staff (masseurs/beauticians) can make more according to their skill and the type of place where they are working. Working on cruise ships for example where you pay no accommodation costs can work out very profitable and you get travel thrown in! The big freelancing agents pay the most, but, generally speaking, their workers are the most qualified. For example, doctors, nurses and engineers get paid quite well. If you’re working freelance on a longer-term basis, it’s quite possible to be paid more than you would be as an employee because you are accepting more risks than an employee and often have more overheads (see more in the next paragraph). Companies are willing to pay for talent that they can outsource to on a flexible basis. In these days of international travel, remote working and digital nomads, it sounds very easy to set up as a freelancer. And to do the actual work, it’s true: it is easy! But, there are all sorts of regulations and administrative procedures that you have to comply with. And the time-consuming nature of compliance is an often overlooked part of working as a freelance. Plus you need to consider the best way to deal with some of the risks that you take on when you become a freelancer/independent contractor. How you set yourself up will vary considerably accordingly to the country you are based in, but there are some general principles set out here for you to consider. First, if you live and want to work in the same country, you often have to prove that you have the right to work in that country. For example, if you want to drive for Uber in the UK, you must show that you are a British national with the right to residence, a citizen of an EEA country (but watch that Brexit space) or produce the right kind of visa to stay in the UK and work. Then you have to have a driving licence and also a private hire licence from a local council. 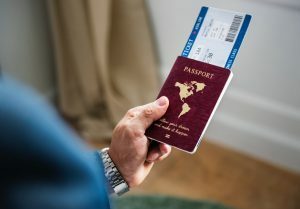 In the States, you must have a green card if you are a foreign national and want to work there. 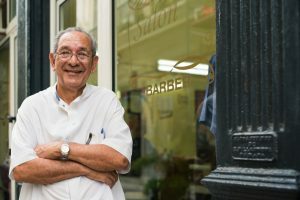 If you want to work as an independent contractor in most of the European countries, you must register as a ‘microentrepreneur’, a person running a small, individual business. Then there are social security provisions: you need to pay into the local social security fund or scheme and for that, you have to register and get a social security number. 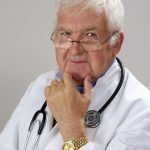 If social security payments don’t also cover health matters, then you need to make sure that you have health cover of some sort – European countries tend to have national health schemes, maybe with top-up insurance, whilst the US is all insurance based. A big advantage in some places is that the contributions due from individuals are less than those for an employed person where the company has to make large contributions to social security too. Normally if you live in a country and earn money there, you are liable to pay tax there. Tax residency is a very complicated affair, particularly if you move countries a lot. The firm that employs you, whether as a freelancer or an employee, generally has the obligation to report its payments to you to the tax authorities. Throughout Europe, you now need a UTR (unique tax reference number). Seek advice on this one! Many freelancers mitigate their risks by setting up their own limited company and working through that. Sounds like even more work doesn’t it? Yes, it is. So why do it? People do it because the whole idea of a company is to limit your liability. If by any chance you should get sued for negligence or worse, then your personal losses are limited to the value of the company. This may just be the value of the initial share capital, the setup costs and anything you happen to have left in the company’s bank account. There may be tax advantages if you work through a company. For example, you can claim the cost of heating the room that you use as an office and your car expenses. Some countries tax company dividends less than they tax salary payments, so it can be advantageous to take your ‘salary’ as dividends. You do need to check on taking this route in your country as some now have legislation which means that this structure is viewed as a form of tax evasion. Take some advice on what will apply to your situation! For some types of gig, insurance is compulsory – e.g. rideshares. You need insurance that covers you, your paying passengers, your car and third parties. For others, it can be a good idea – e.g. for cyclists. Some companies, e.g. Deliveroo, offer free accident insurance to its cyclists. For professional/executive freelancers, insurance against professional negligence is a good idea, although, as a one-man band, it can be hard to get a decent, affordable policy. In some countries, you may lose state benefits and be worse off if you work in a sporadic way in the gig economy. You have to work out if it is worth it for you. The demanding task of all the compliance with filing and paying your taxes and social security (national insurance) payments. You have to remember to keep records and receipts and a reserve of money so that you can pay the taxes when they’re due. If you work freelance through your own company, then you have to do tax returns for your company as well as for yourself. Plus you must comply with all the other requirements of running a company, such as annual returns and declarations. It’s up to you to go out and get the work: it no longer just arrives on your desk. You don’t get paid for the hours it takes to make proposals, fill in application forms or the time that you spend checking to see whether a gig is coming up or not. Work arrives on a take it or leave it basis. The trend to zero hours contracts, (employment contracts with no guaranteed hours), without a regular paycheck, has made life very, very tough for some who have embraced the gig economy. You’re the one with all the responsibility for life problems that occur when you’re not working. It can be really stressful not to know whether you have a secure income or not, particularly if the work you do is sporadic and unpredictable. And that’s just in the short term. In the longer term, such a lack of security damages your financial security and your health. You have to pay for your own equipment, such as an expensive smartphone with internet connection, then other things to do the job like a computer, a car, a bike, even a uniform. Bad debts are a major risk. Will you actually be paid for work you do? Sometimes platforms that you obtain work through can be very helpful about this sort of thing. Other sites may just automatically take the side of the customer. Scams are endemic on the internet. Try checking out potential clients on the websites for scams or for bad payers. Figure out a way to keep your work until you’ve been paid. There’s no getting away from it. 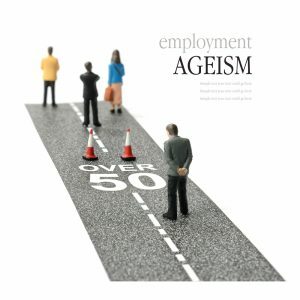 Age discrimination is the scourge of the senior job market. It’s much harder to get a job when people assume that you’re too expensive, that you’re past it, that you’re not a native with technology, that you won’t fit in, that you’re taking a younger person’s job and that you’ll take much more sick leave than younger people. And the assumption is that, because you’re older, you don’t actually need a job. Even if you’re on the poverty line because your child or your partner fell sick a couple of years ago or you lost your retirement fund in 2008. Yes, ageism is rife and isn’t likely to disappear any time soon. Look for tips on overcoming age discrimination. Practise answers you can give. Use your network to support you. Sometimes, the gig economy is less likely to discriminate against people on grounds of age, because it’s more anonymous. If you do the work as a faceless, but reliable individual, who’s to know how old you are? It’s the results that count. 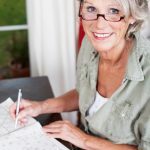 Remote working can really work in favour of seniors. Plus, some areas of industry welcome boomer gig workers. Uber says that it has more drivers over 50 than under 30 and in the US, it cooperates with AARP’s ‘Life Reimagined’ to find more drivers over 50. Against all these cons, particularly in Europe, unions and gig workers are starting to win rights. People are bringing cases against the big players such as Uber, and they’re being won. Even if not everybody is getting the same rights as an employee, gradually benefits are being introduced – e.g. insurance for injury whilst working, access to pension funds and health insurance. The gig economy is a new phenomenon. It’s developing rapidly and will continue to do so. Now you’ve seen the downsides of working in the gig economy, I want to give you some encouragement and support. 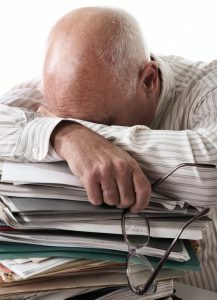 Yes, it can be a hard road being a senior, boomer, retiree or pre-retiree looking for work in the gig economy. This guide sets out to help you through the process with practical tips and advice. But you also need to keep in mind that trying new things can be very hard on you, psychologically. It’s out of your comfort zone. You’re doing stuff you never dreamed of doing. Some of it can be wildly exciting. Some of it is scary. You’ll have ups and downs in your journey through the gig economy. So be kind to yourself if it doesn’t work out straight away. As with any other venture, persistence is usually the key. And that takes a toll on your spirits. Look for support. Turn to friends and family. Seek support online. If you start looking, there is lots of advice and help out there. Maybe you could look for a local job club to get some support. Take a free course in building your confidence. Take comfort that a lot of people manage to make a real go of it. Take my friend Harry. Harry was a marine engineer. Now he works on a freelance basis helping people with their boat maintenance. It means that he can afford to run his own boat. Then there’s Eva. Eva took up dog walking when she retired. She does dog vacations too, where she looks after dogs in her own home while the owners go on holiday. She’s now in her late 70s and still going strong. It keeps her active and meeting people. And it’s made all the difference to her ability to visit her family who live round the other side of the world. It has given her purpose and fun as she has aged. You’re never too old to do something new. Now check out some of the examples and resources in the next two parts to get you on your way. Here’s a friendly summary of the steps you need to take to get yourself on the road to the gig economy. then you’ll find a case study about Jane. Find out how Jane moved over into part-time work as a bookkeeper. Jane, 61, was thinking of retiring because she didn’t want to work full time at her job in local government any more. She wanted the freedom to travel and to have time for her interest in archaeology. With responsibility for the departmental budget, Jane had financial experience. She knew her way around Excel sheets, was good at numbers and had enjoyed doing the budgeting, modelling and accounting. Short on experience, Jane tried out a few gig sites to see if she could get some gig work. She got a few data entry jobs and was delighted to be earning on a ‘side hustle’ at first. But the jobs were very low paid and she felt she wanted a bit more social contact. Meeting up with an old friend who worked part-time at a local newspaper, Jane learned their freelance bookkeeper was going to retire in about 6 months’ time. They would soon be looking for a replacement. Jane quickly went online and found some bookkeeping courses for free. She asked her friend to find out which accounting software packages the firm used and then went on one of their courses so that she knew how to use the package. Jane asked her current boss for a reference. She did some practice on interview skills with the recruitment agent husband of a colleague at work. At her interview, her initiative stood her in good stead. When asked about any weaknesses, Jane said she thought she ought to do a brush-up course on tax matters. The newspaper said maybe it would eventually help reduce their accountancy bills! Jane got the job. They agreed that she would start off by working in the office to get to know everyone and how the systems worked. Once she got the hang of it, she could work from home if she wanted to. She retired from her government job. She joined the newspaper on a freelance basis which meant that she could work for other firms too. She’s planning her first trip to an archaeological dig abroad. So you thought about your dreams and you took the brave decision to try and make them a reality. You took a good look at your skills and your needs. You worked on the possibilities. And in the end, you did it. You landed a gig. Oh, the thrill of first earning a dollar or two online. Or the thrill of your first rideshare – you got a tip too! Or you got your first freelance job – you worked on it at home! It was certainly a new experience. Some of it was hard, scary even, because it was new, out of your comfort zone. But you persevered. Some of it was eye-opening – especially meeting such different people. It’s a new kind of life, one that has its ups and downs, like any other lifestyle. But on the whole, it’s made you feel better about retirement and what comes after it. Maybe it’s made all the difference to your finances and you’ve been on that great holiday in the sun AND you went and saw the Northern Lights. Wow, that was worth it! You know you don’t want to do gigs forever, but you can always try something different. After all, you’ve mastered the art of landing a gig and you know you can do it again. Here’s a table to browse through. It has over 240 lines of job ideas and tips. It has nearly two hundred suggestions as to where you might look to find a job or get more information on your ideal gig, with links to take you straight there. Have fun exploring and good luck with the search for your perfect boomer gig. Au pair /Baby-sitting/childminder Some agencies require nanny training, but you’re well qualified if you’ve had a family of your own. You will need a background check and may need to register. Ask friends, especially those with young families and who work full time. Respond to ads on advertisement boards in supermarkets. Try find baby-sitting jobs in holiday resorts whether for summer or winter sports. Care-giver/home help Helping elderly and infirm with housework, shopping, daily tasks such as washing and cooking – for the elderly, for busy families, for special events. Put up notices on local noticeboards eg in local supermarkets, libraries, community centres, churches etc. You’ll probably be inundated! Cleaning houses/offices All the big recruitment sites have full and part time jobs for cleaning. Put up notices on local noticeboards eg in local supermarkets. Cruise jobs There are a host of different jobs on cruise ships and it’s a great way to travel. You tend to sign on for a season so longer term than many gigs, but still flexible. https://www.allcruisejobs.com/browse/ - very good breakdown of all the different types of job you can go for. Cleaners You can try cruise lines directly. Events management/assistance Hard work, but great if you love a party of any kind, whether annual association gatherings, conventions, large meetings, big birthday bashes, weddings and fundraising events, such as 10K charity races and silent auction black-tie dinners. Look for local places that put on events – eg museums, halls, stately homes, castles and ask for jobs. servers/ waiter/waitress For hotels etc look at hospitality below. Try fast food outlets near you such as McDonalds, KFC, Wendy’s, Burger King – either on line or at your nearest branch. Gardener/Tree surgeon. Experience helps. Put up notices on local boards or respond to gardener required notices. Qualifications even better. Try local landscape gardening companies, nurseries, garden centres and municipalities. Garden produce You can try collecting wild mushrooms or if you live somewhere suitable, truffles! Sell your own produce in local markets, put up a notice outside your house, do the rounds of local restaurants and sell to them. Try adding value – eg selling fresh green smoothies to workers in local businesses. In 2016, 52% of staff were 61-70 and a further 20% 71 – 80. Try local nurseries, kindergartens or creches. Some offer part time jobs or job sharing. Taking photos of jobs being advertised in windows or on notice boards on your smartphone for indeed.com). Real estate/property Showing property to potential buyers and renters Try local agencies in your area. Retail Supermarket shelf stackers, check out staff. Also try the out of town sheds. Opportunities for part time work to help in busy periods, or to work shifts All major supermarket chains required shelf stackers and check out staff. Some favour older workers. Try the ebay in your country by putting your national letters after it – e.g. https://www.coolworks.com Tons of job listings and a great forum. Fun adventure jobs, plus jobs with purpose such as saving the environment. Great site, though primarily for residents of the UK and Europe. 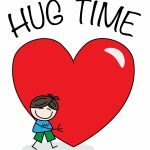 Thanks, Cathy – I’ve been learning from you! Want your guide as a PDF?